Due to high morbidity and mortality since 1949, dengue is one of the notifiable diseases routinely reported to the Ministry of Public Health. On 10 Apr 2016, five people with fever and rash from a village in Phetchabun Province were notified. Descriptive, case-control, and environmental studies were conducted to verify diagnosis, describe characteristics of the outbreak, and determine risk factors. A confirmed case was a person with dengue-related symptoms, and dengue Immunoglobulin IgM, or dengue nucleic acids tested by reverse transcription polymerase chain reaction (RT-PCR). Controls were those without any symptoms and were randomly selected in the village. Of 12 dengue confirmed cases, there were six with DEN-3 and two with DEN-4 viruses. Living near cases (odds ratio = 11.1, 95% CI = 1.2, 98.3) and using home for community services (odds ratio = 9.2, 95% CI = 1.1, 79.6) were associated with dengue infection. One Aedes aegypti mosquito was identified with Zika virus by RT-PCR. A dengue outbreak related to serotypes DEN-3 and DEN-4 was confirmed with potential coexisting Zika virus in the village. Intensive vector control, elimination of mosquito breeding sites and health education provided in align with community participation controlled the outbreak. NURNCHUT, Auttawit et al. A Cluster of Suspected Cases of Zika Leading to Uncommon Dengue Serotypes with Possible Coexisting Zika Virus in Northern Thailand, 2016. OSIR Journal, [S.l. ], v. 11, n. 3, p. 13-21, sep. 2018. ISSN 2286-8933. 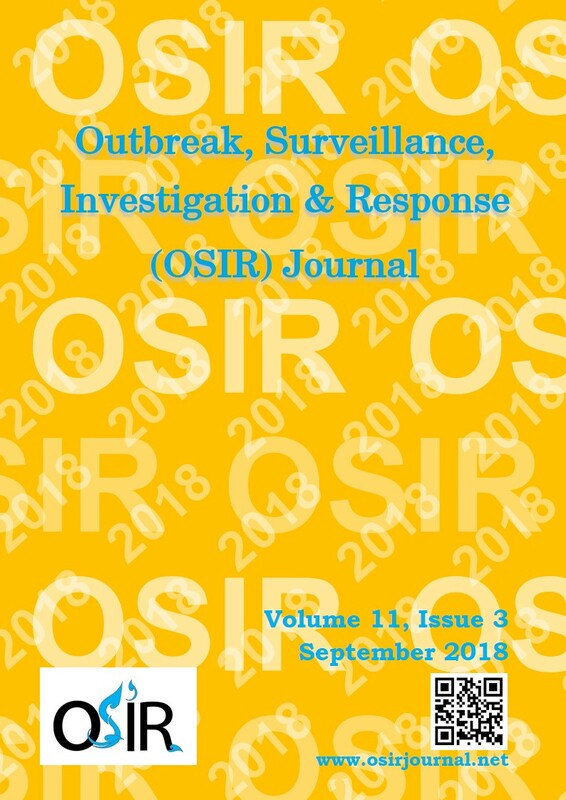 Available at: <http://www.osirjournal.net/index.php/osir/article/view/124>. Date accessed: 24 apr. 2019.